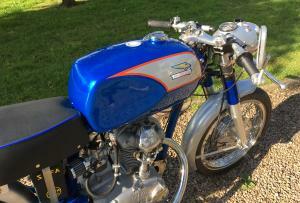 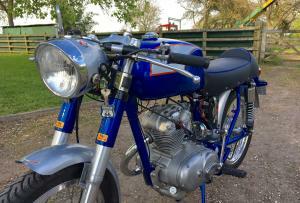 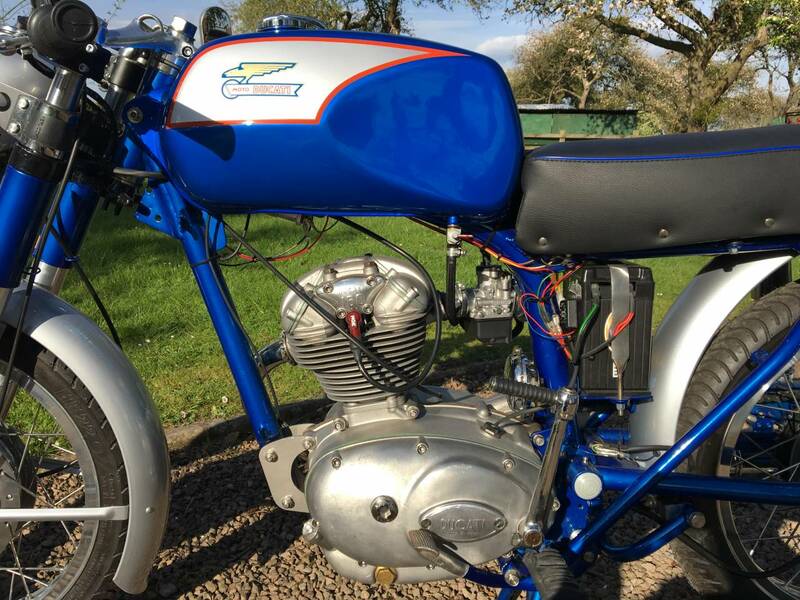 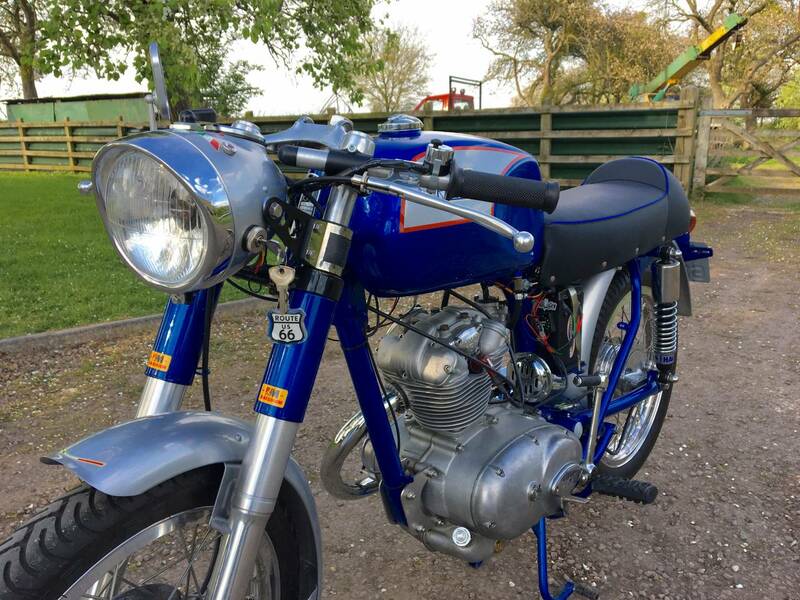 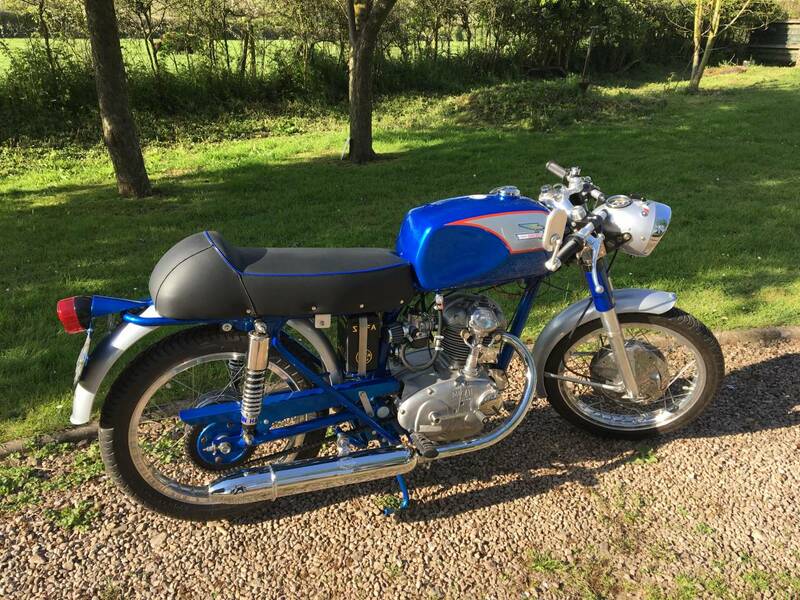 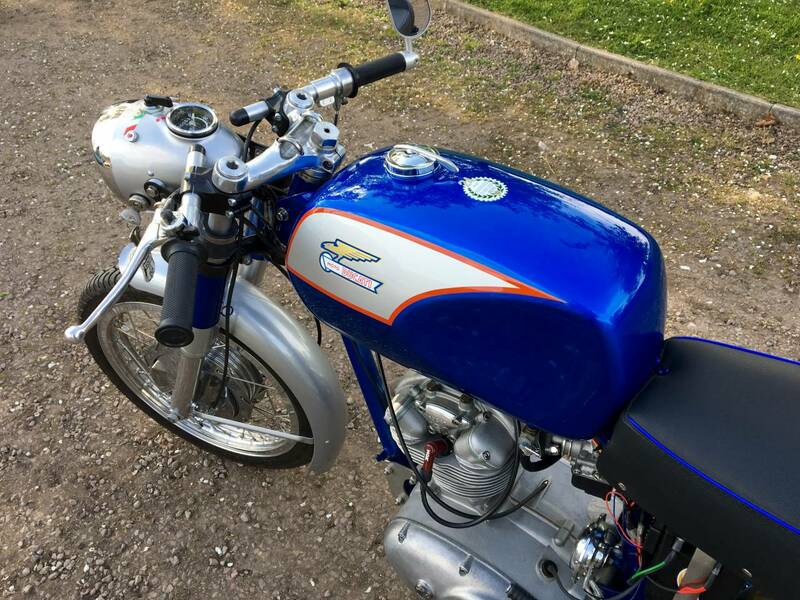 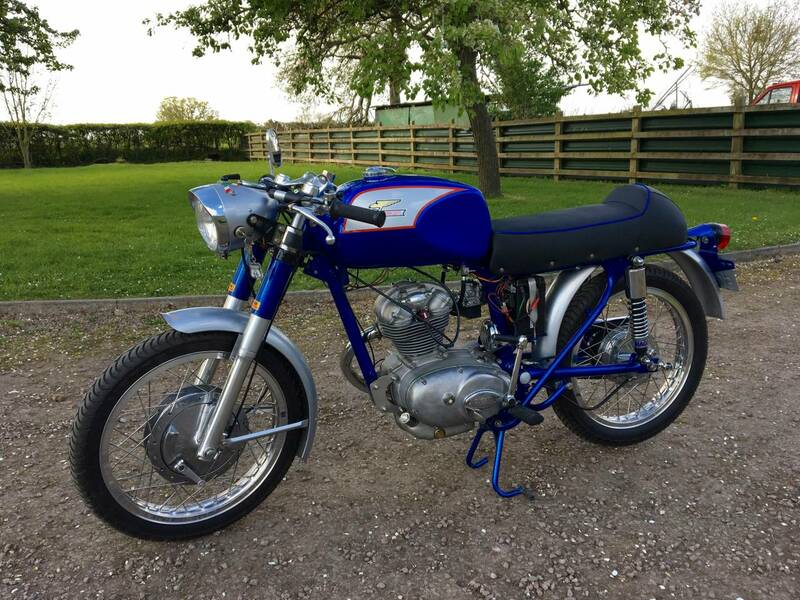 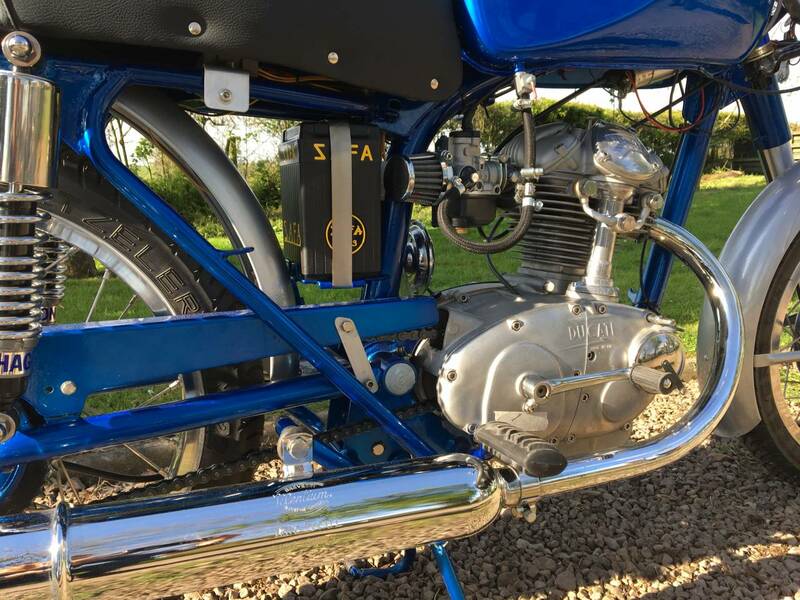 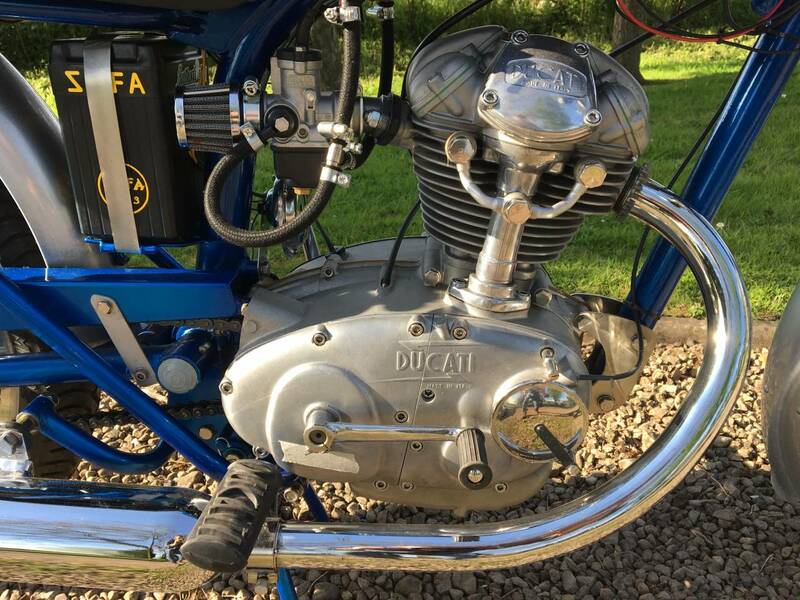 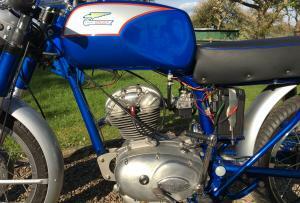 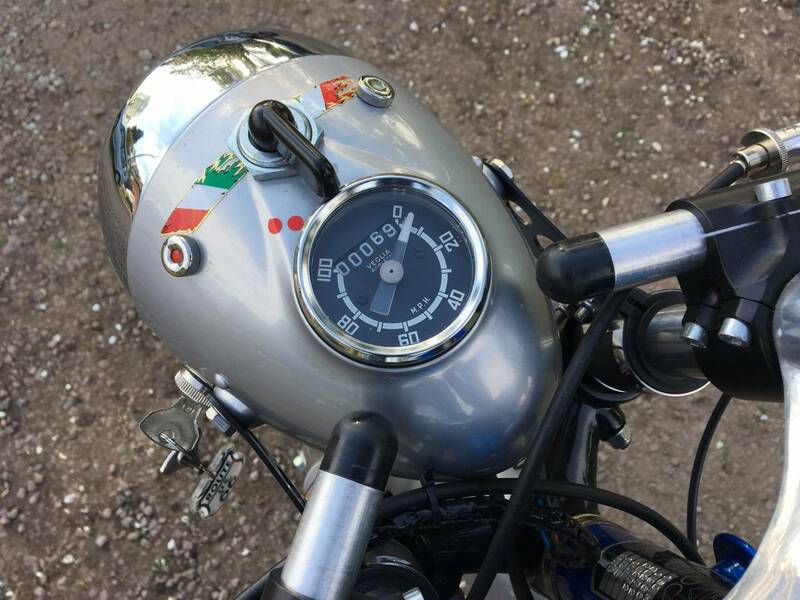 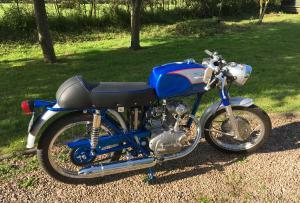 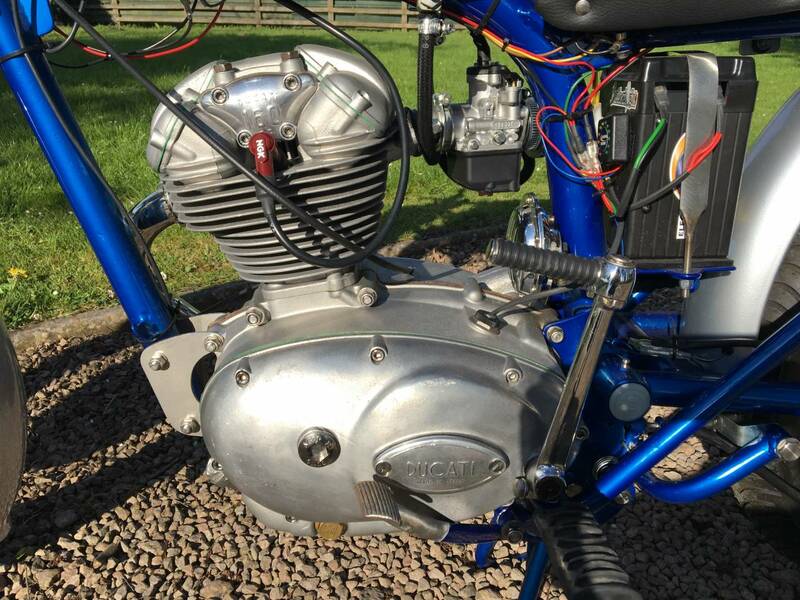 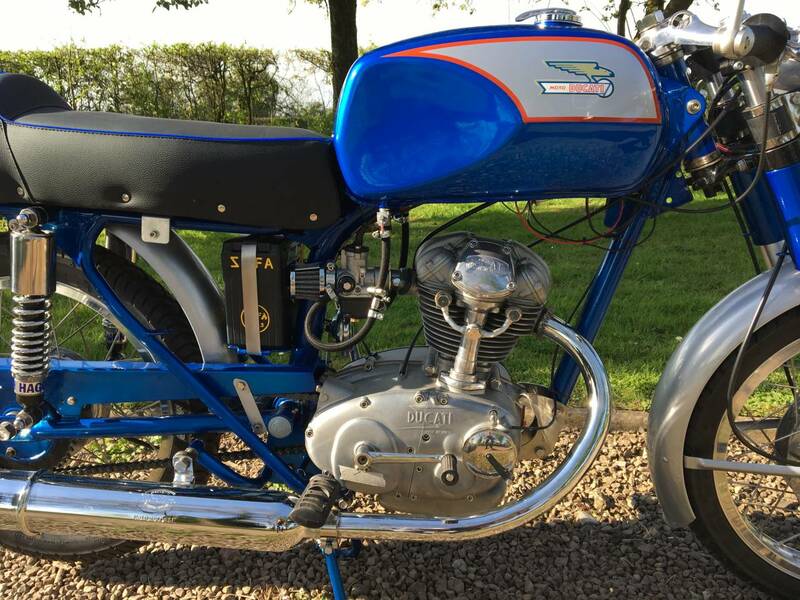 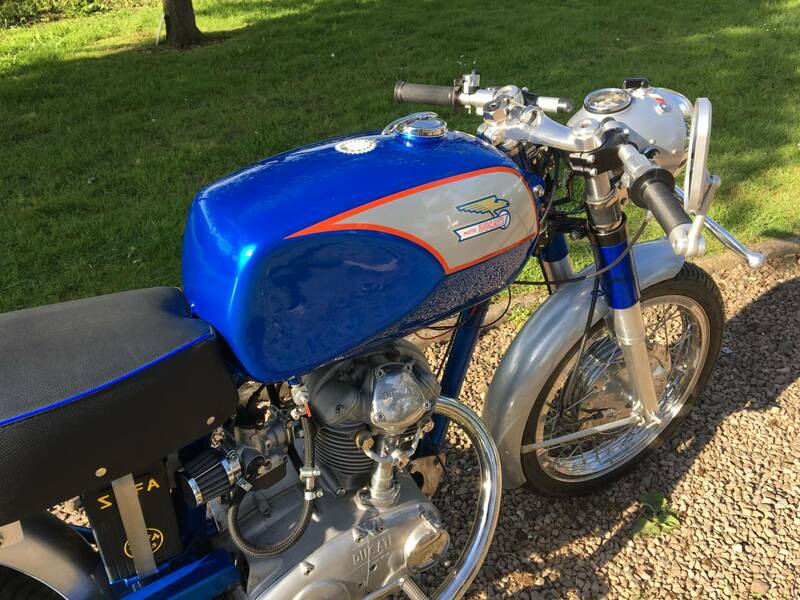 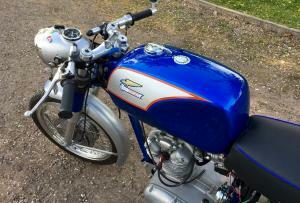 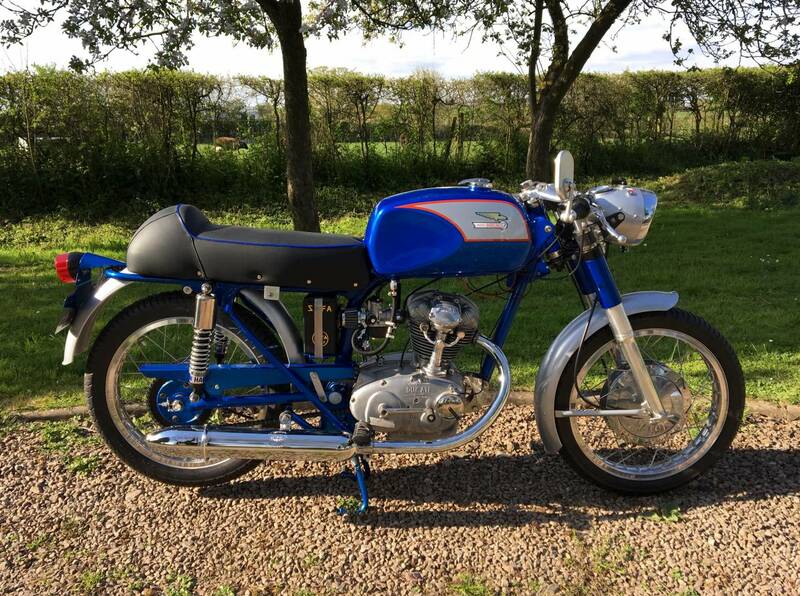 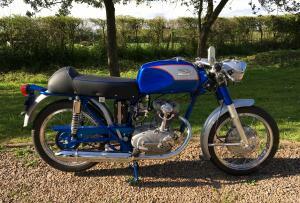 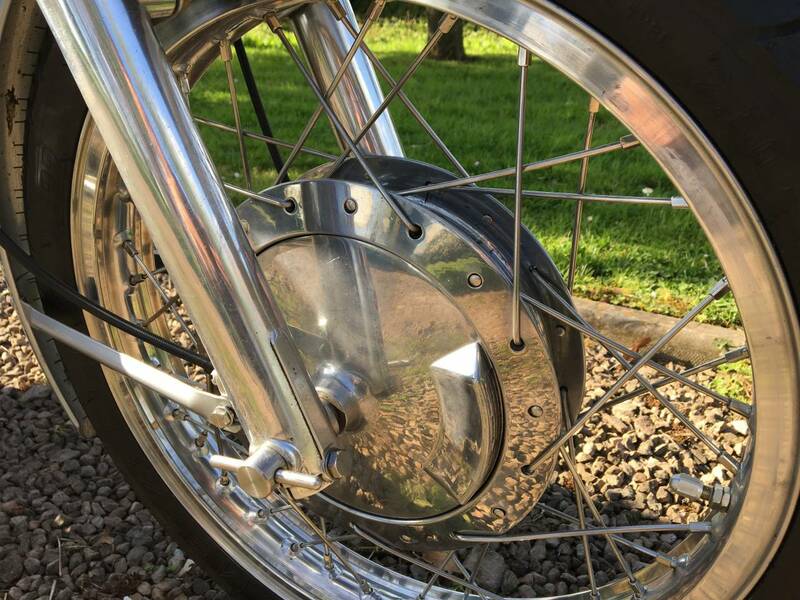 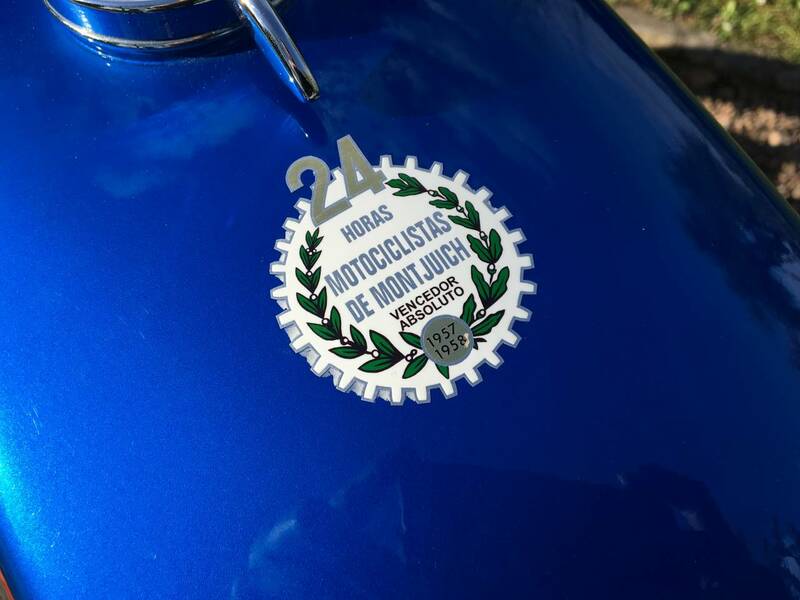 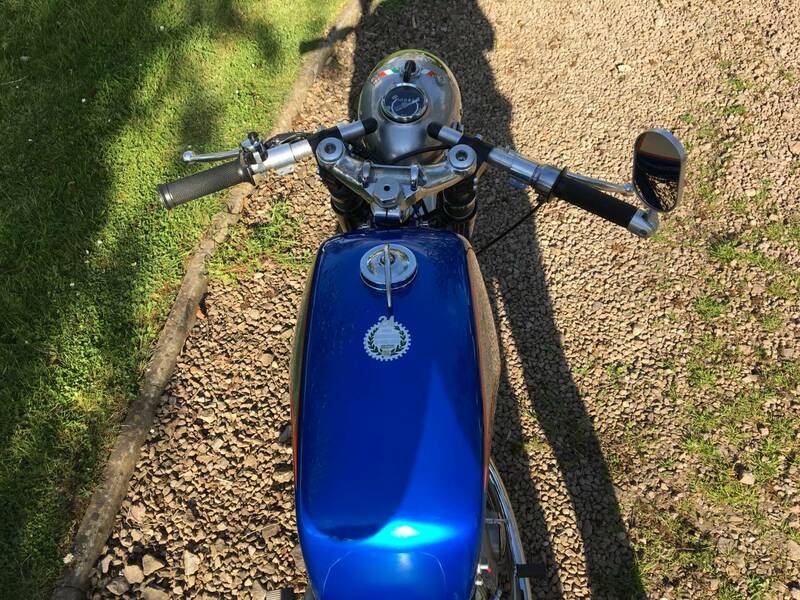 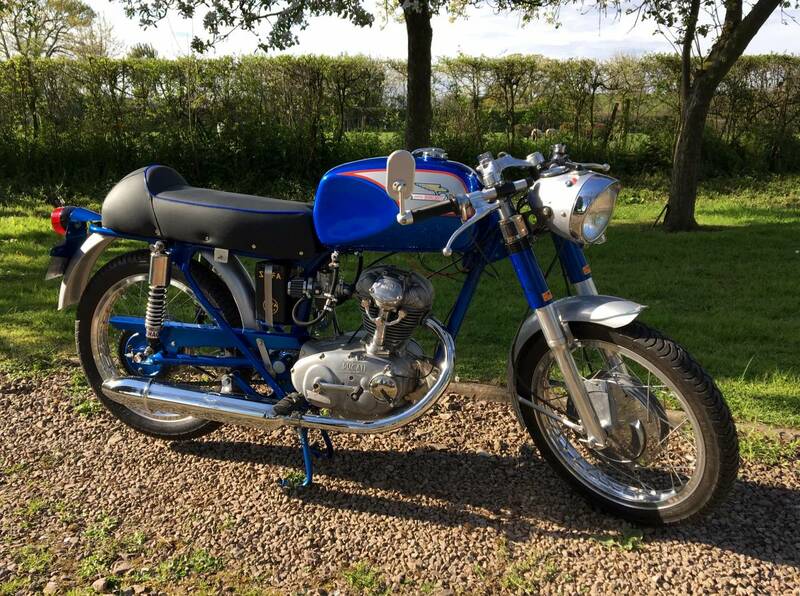 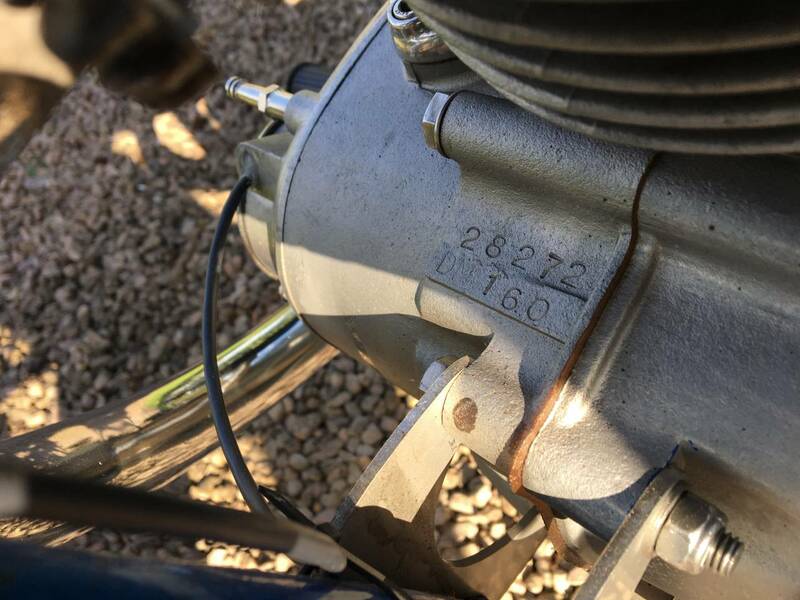 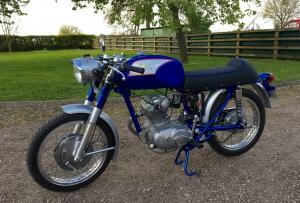 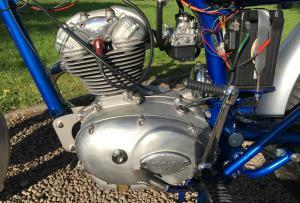 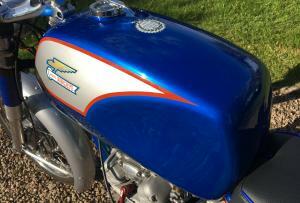 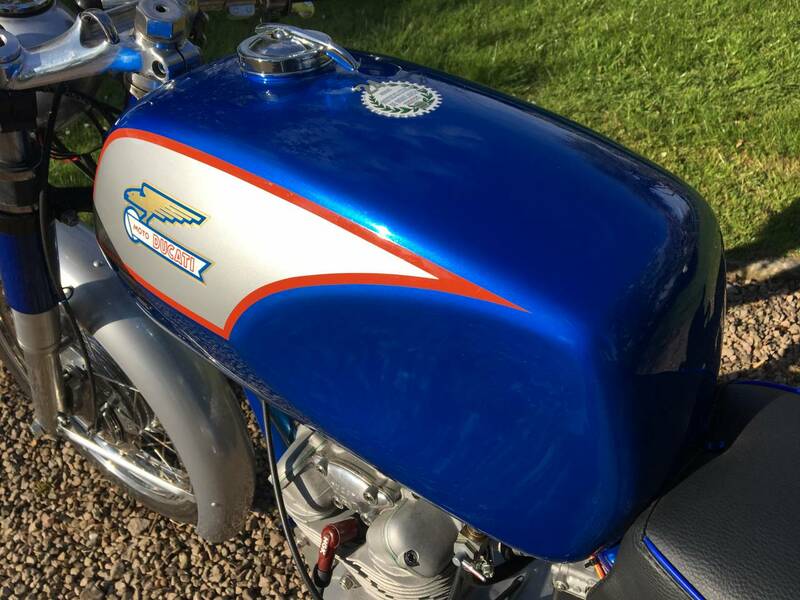 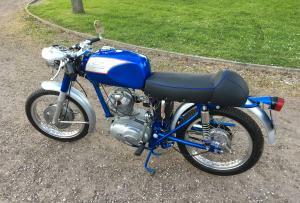 Ducati Monza Junior 160 , 1968 , In Superb , Restored Throughout Condition And In The Very Attractive, Kingfisher Blue And Silver Colour Scheme ; A Really Beautiful Machine . 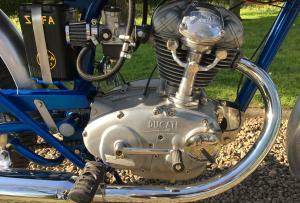 All The Paintwork Is New , As Is The Carb And Many Other Items . 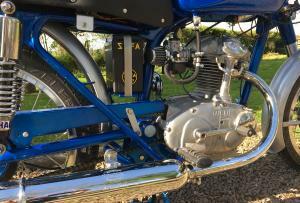 Has Matching Numbers, With A Professional Engine Rebuild Costing £3500 ! 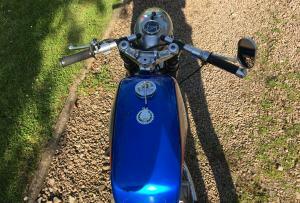 Has Only Covered 69 Miles Since , So Will Require Further Running In . 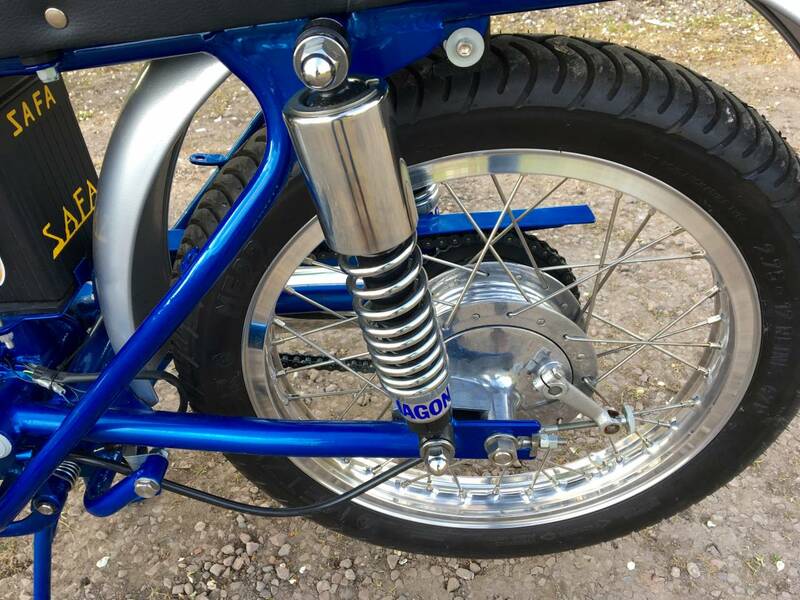 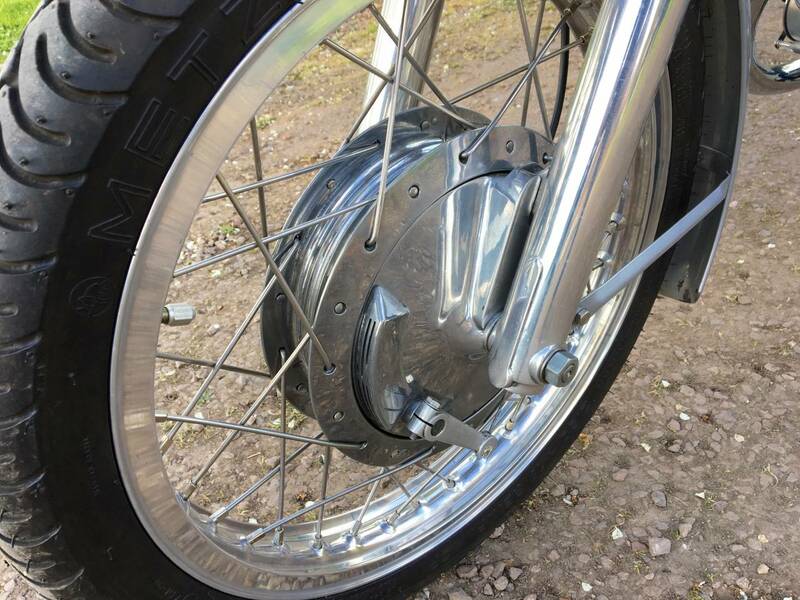 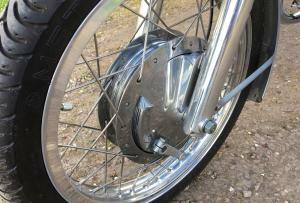 Has Electronic Ignition And Is Very Light Weight And Easy To Handle . 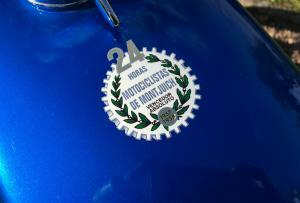 This Is A Small. 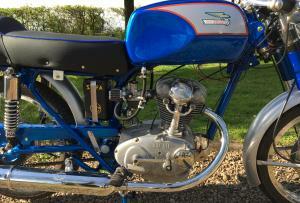 Machine , With A Lively Motor ; Rare Too , As Most Have Been Mopped Up For The Racing Scene . 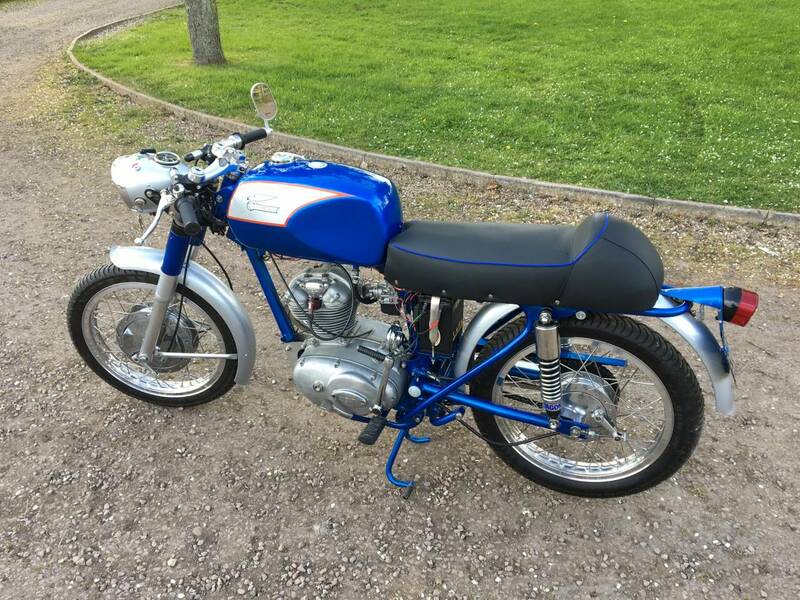 Will Provide Plenty Of Fun , With No More Money To Spend . 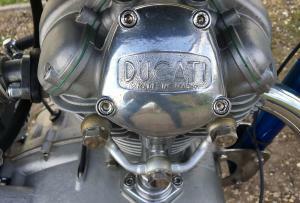 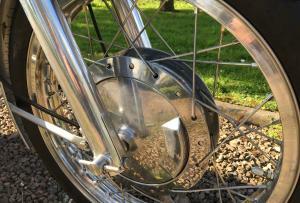 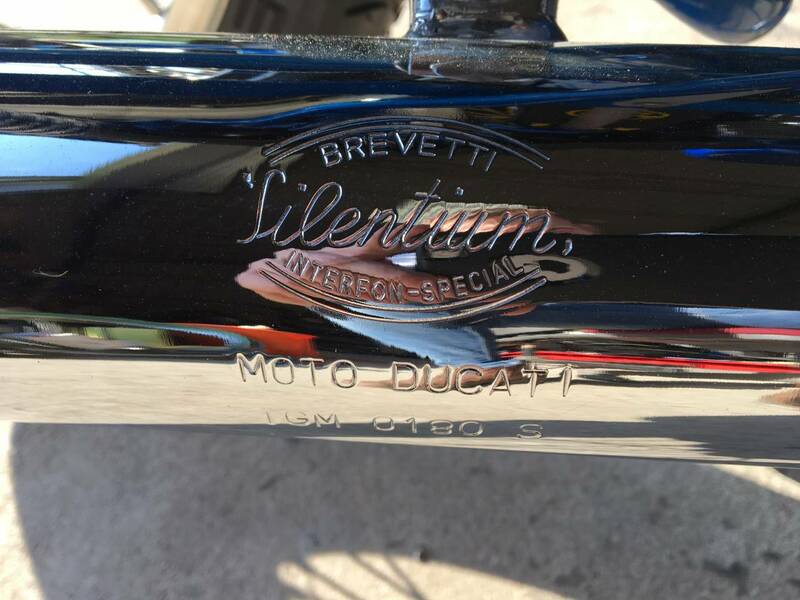 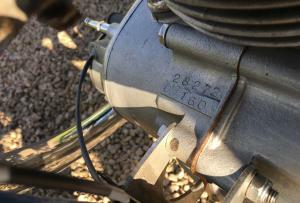 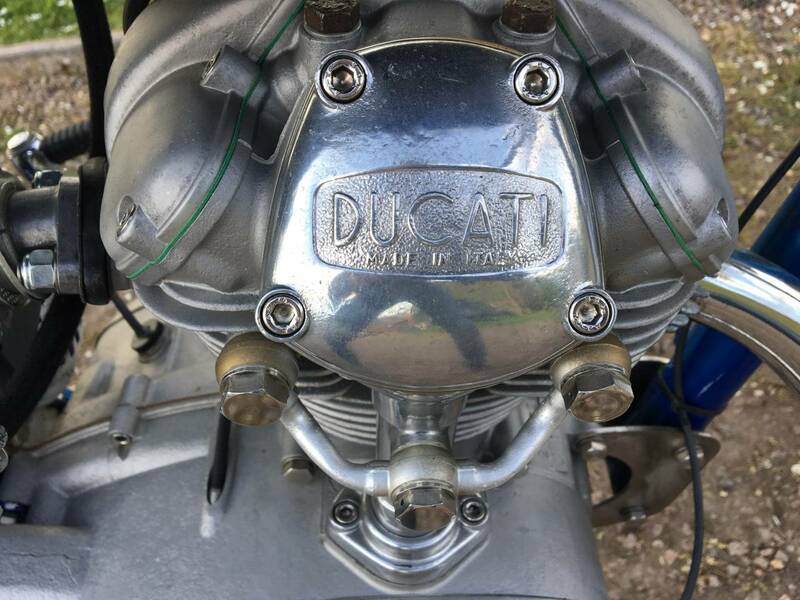 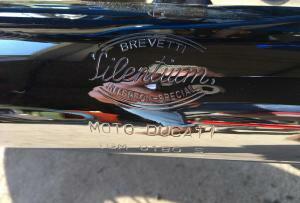 Tax Exempt And Is A Great Investment , As Early Ducati's Are Rising Rapidly In Value .